Actress, singer, and all-around queen-of-our-hearts Mandy Moore officially tied the knot with her partner, Taylor Goldsmith, on Sunday, November 18th. The This Is Us star donned the dreamiest wedding gown—a boho pink Rodarte design with tulle and floral details. Moore’s stunning pink ensemble is a departure from the tried-and-true tradition of white wedding dresses, and we are utterly obsessed. The actress completed her look with matching pink eyeshadow and a subtle lip color done by celebrity makeup artist Jenn Streicher. Take a closer look at Mandy’s dreamy wedding look below. Mandy is making a serious case for pink on your big day, so we’ve taken it upon ourselves to compile a list of dreamy pink wedding dresses inspired by the Tangled star. Say “I do” to the pink wedding dress options below. Defy tradition in this floral pink number. 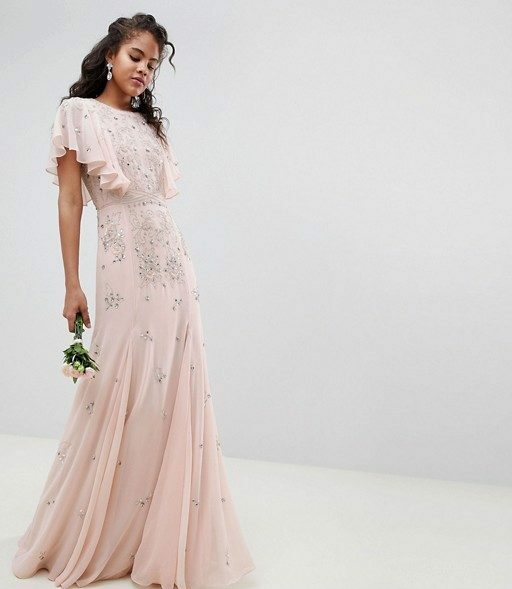 Say “I do” to this blush angel-sleeve frock. 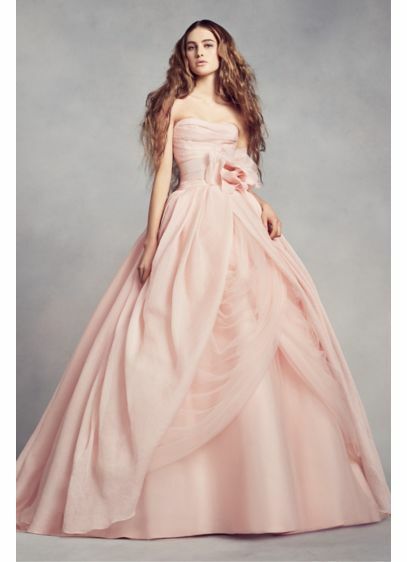 Do a twirl in this billowing blush gown. Put Molly Ringwald’s prom dress to shame in this frock. Add more florals to your ceremony in this stunning number. Show some leg in this dusty rose ensemble.